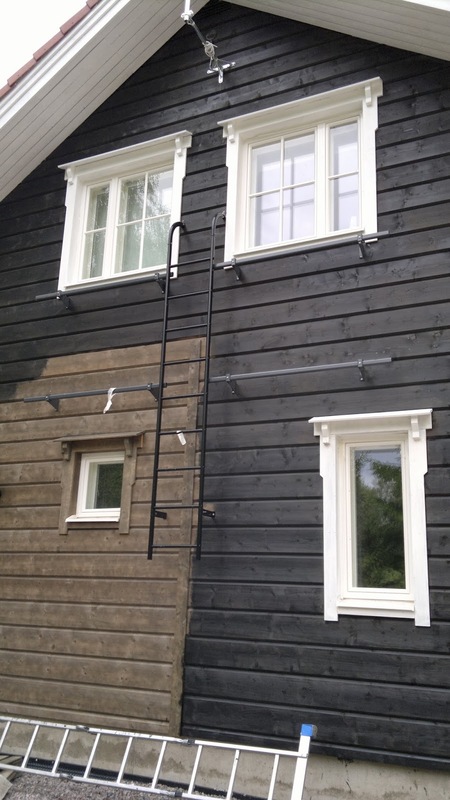 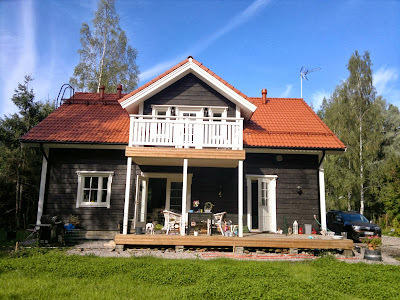 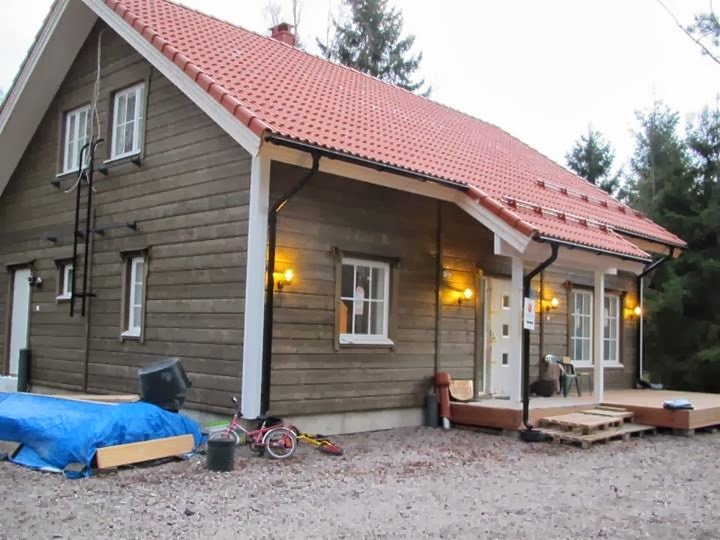 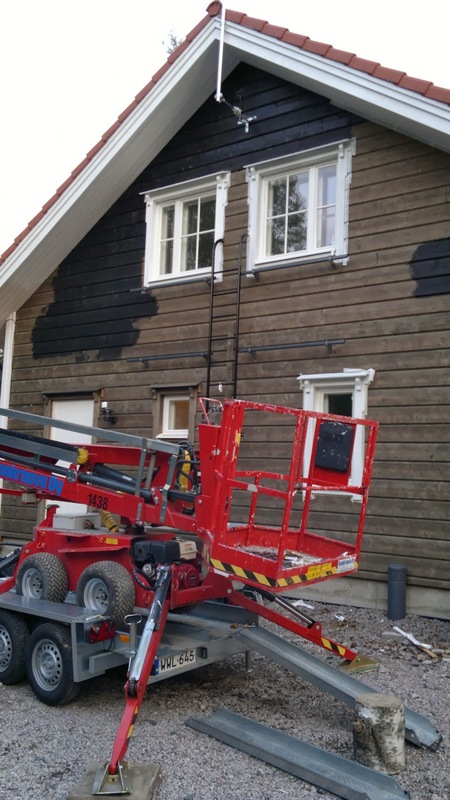 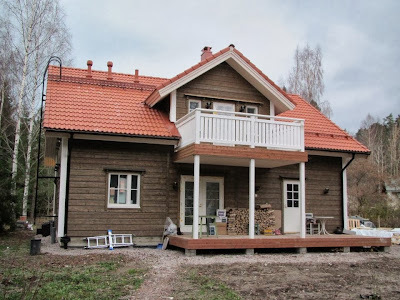 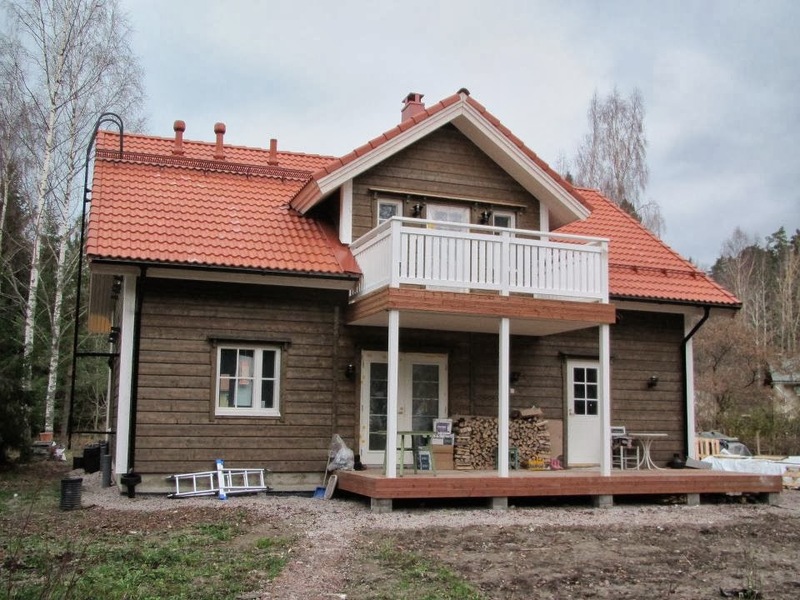 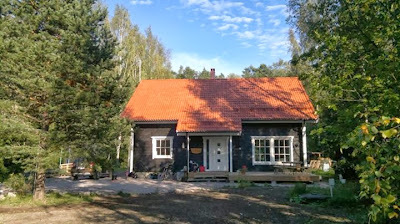 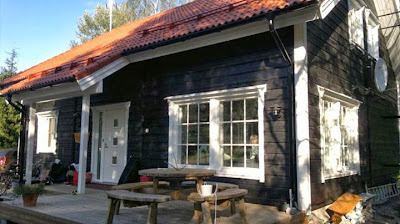 During summer of 2012, we had to paint the house to its final color (Valtti Color Piki 5089). 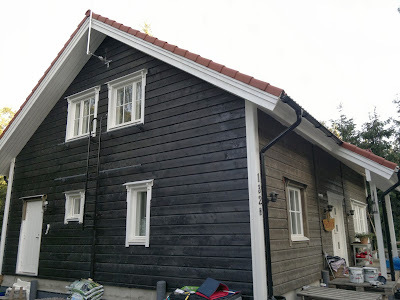 The paint is not the eaiest to use as it's quite liquid but it does look nice once dried, as it lets the wood patterns be visible. 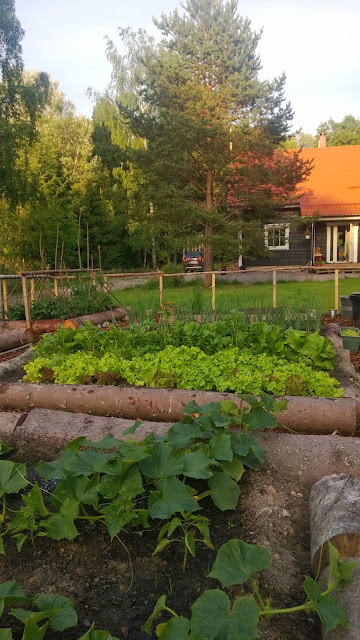 View from summer 2013 with our vegetable garden set up!